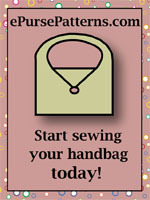 The Napa Wine Tote by Purse Strings is a quick and simple project to make to keep or to give as a gift. 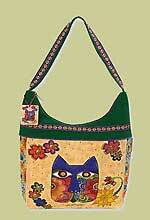 Because it's lined and uses binding, you can have endless fun mixing different fabrics. 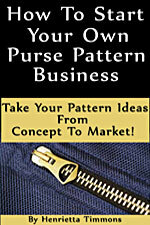 The tote has a boxed bottom and is quilted for extra stability and you decide what quilting design you want. 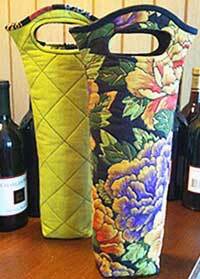 This wine tote will also accommodate other types of bottles such as water bottles or a sports drink. Finished size is approximately 6"W x 16"H.